Following on from the success of the inaugural BULKEX on behalf of the Materials Handling Engineers Association, CJAM was tasked with growing the event for 2016. BULKEX was conceived as the premier event aimed at professionals and organisations from across the bulk materials handling industry, encompassing a combination of seminar programme, exhibition plus – for 2016 – the MHEA Excellence Awards. CJAM’s involvement was total management and organisation of the event, including promotion, speaker selection and media sponsorship. 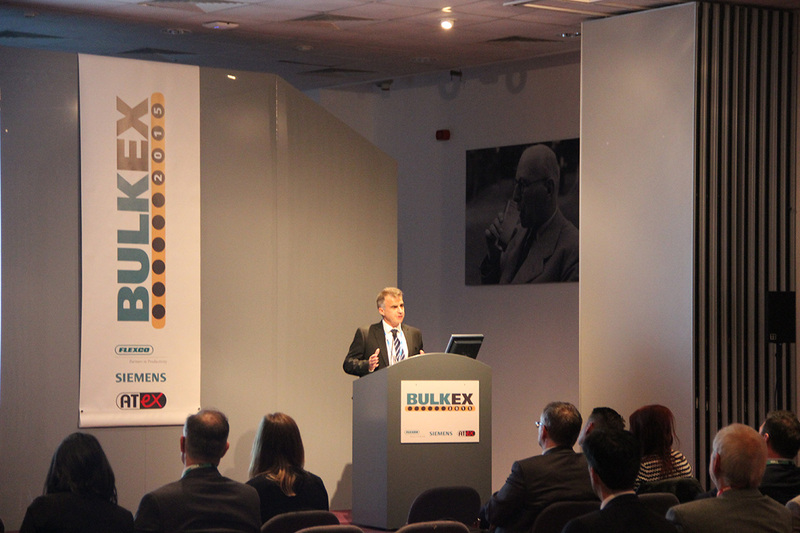 BULKEX16 objectives were to attract 500 attendees, sell 50 exhibition stands and engage industry leaders to participate. Once again, CJAM’s events team handled all the logistics of BULKEX from selecting the venue and catering, to arranging accommodation and travel, and organising AV equipment, conference passes, and delegate reception. Speakers corner was introduced, bringing the seminars into the heart of the exhibition hall. An event within an event, the new awards involved creating an entry pack, arranging a judging day, co-ordinating the dinner programme and ceremony. Promoting BULKEX16, the marketing team re-developed the BULKEX microsite created in 2015 as well as producing a conference brochure, exhibition guide and social media strategy with dedicated BULKEX16 Twitter and LinkedIn accounts. Online and print advertising and editorial was secured through media partners and associated industry media. Regular e-newsletters tweets and posts ensured that the bulk handling industry and wider audience were kept informed and the event was eagerly anticipated as an event for gathering information, networking and celebrating achievements.